We are a leading Manufacturer of iso bored flanges, blank flanges, iso flanges, cf flanges and conflat vacuum flanges from Bengaluru, India. We are among the eminent names in the industry, engaged in manufacturing, trading and supplying ISO Bored Flanges. The provided flanges are demanded by customers for their high quality & performance. These flanges are developed by our professionals using premium quality basic material keeping in mind the set norms. Offered flanges are checked in terms of quality in order to dispatch a flawless range. 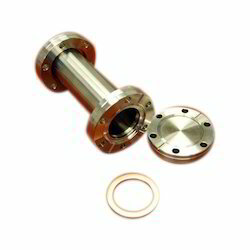 We are established ourselves as coveted organization, engaged in manufacturing, trading and supplying Blank Flanges. These flanges are designed using finest quality material and cutting edge techniques in compliance with set standards. Our offered flanges are tested on numerous parameters under the direction of our quality experts in order to deliver a flawless range. We provide these flanges in different specifications as per the need of customers. Being leaders in the market, we are manufacturing, trading and supplying an impeccable range of ISO Flanges. 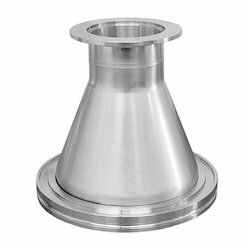 The provided flanges are designed by our adroit professionals using modern techniques & top notch material. These flanges are examined on several parameters of quality so as to supply a flawless range. Customers can avail these flanges from us in a given time frame at nominal rates. 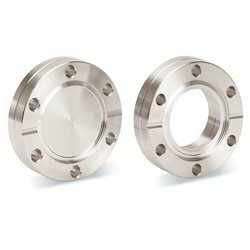 In order to meet excellent quality standards, we are supplying CF Flanges. With our vast experience in this domain, we have carved a niche for ourselves, in offering a wide assortment of Conflat Vacuum Flanges. The offered flanges are acclaimed among customers owing to their optimum finish. These flanges are designed with utmost precision using best grade material and advanced techniques. In addition, our entire range of flanges is offered at the affordable rates to our clients. 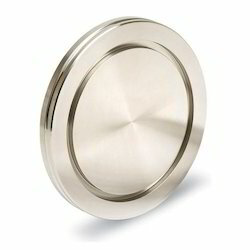 Looking for Vacuum Flanges ?